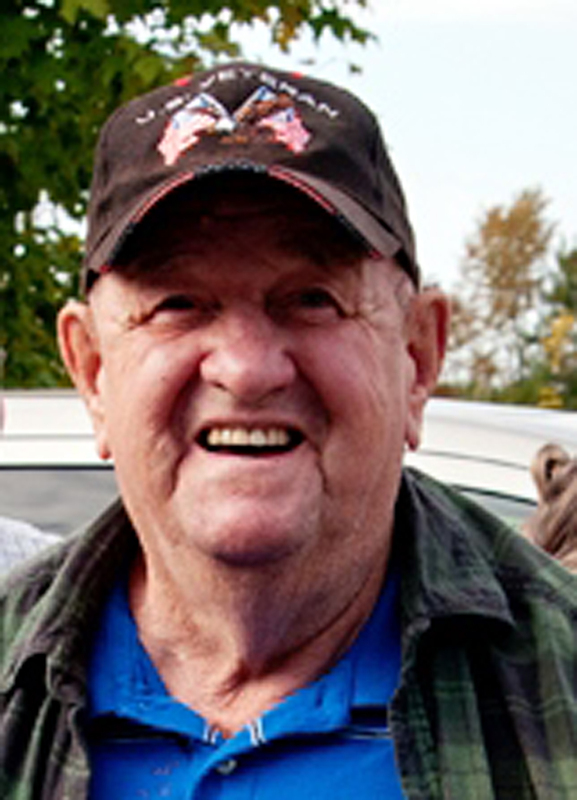 Martin Manford Cooper Sr. 83 of LaRue, died Saturday morning December 5, 2015 at the Grant Medical Center in Columbus. Martin was a veteran of the Navy, serving two terms totaling eleven yrs., during the Korean War. He retired from the National Can Corp. in Marion in 1984, working there for 16 yrs. He loved everything about horses, he trained, broke and took care of all types over the years. He was a past member of the Circle M Horse Club in Marion and the Old Timer Days Draft Horse Club in Raymond. Martin was very appreciative of the relationships and time spent with the Amish community near his home, he also enjoyed NASCAR, with Mark Martin being his favorite driver. But the true joy of his life was his family, especially his beloved grandkids. Surviving is his wife Catherine I. (Zender) Cooper, they were married August 7, 1967 in Marion, children: Martin (Christina) Cooper Jr., LaRue, Michael A. (Cindy) Cooper, West Mansfield, Ed (Billie) Fridley, Harpster, Mark (Sally) Fridley, Mansfield, Rhonda (Brian) Cooper Lane, Bellefontaine and Karen (Jeff Burt) Fridley, Marion. and his special energetic companion Bubba, that went everywhere with him. Funeral services will be held Wednesday December 9, 2015 at 11:00 am at the Stofcheck-Ballinger Funeral Home in LaRue, Pastor Tim Pasma will officiate, burial will follow in the Fairview Cemetery (near LaRue),where there will be veteran graveside services conducted by the Marion County United Veterans Council, friends may call Tuesday from 4-7 pm at the funeral home in LaRue. Memorial gifts may be made to the Stofcheck-Ballinger Funeral Home at PO Box 333 LaRue, Ohio 43332 to help the family with final expenses. Our hearts go out to you this holiday season as you say goodbye to your loved one! Martin had quite a legacy in his family and you will all be in our prayers and thoughts! May God give you peace and comfort during this time of mourning! Marty, Chris and family I am so sorry for your loss. My thoughts are with you. From all the Blues to the Coopers and Fridleys our deepest, heartfelt sympathies. Remember lots of fun times with the horses, 4-H, and visiting. He was a great guy and will be missed. Love and Deepest Sympathies are being sent to the Cooper Family during this time. Remember all the wonderful things that has been shared with your Dad as you celebrate his life. I have no words to make this easier. I will keep all of you in my prayers. We had some great times with Circle M and the fair! Our deepest condolences to you upon the passing of Uncle Martin .Words are never adequate in moments like these. We will say though, that our hearts go out to you all , and we will always remember the joyous memories that we are privileged to have in knowing him. You are in our prayers during this difficult time . Katie, Sorry for your loss. Katie, So Very,Very Sorry for your loss.God Bless you and family. Mike and Ed & families, Very sorry for the death of your dad. Memories and time will help ease the loss. Eston & Ruth Williams' son and daughter-in-law.